Dark Whispers announced the release of Wolf's Bluff by W.D. Gagliani for a June 29th release. 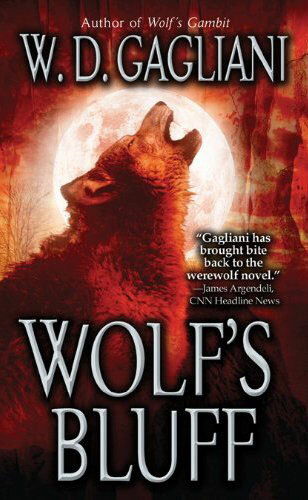 This is the third in the Detective Nick Lupo series, following the Bram Stoker Award-nominated Wolf’s Trap and its sequel, Wolf’s Gambit. Homicide cop – and werewolf – Nick Lupo has battled other werewolves before, killers who unlike Nick have no problem hunting human prey. So when a new series of savage animal attacks terrifies the area, Nick already has a suspect in mind. And he knows that if he’s right it’ll be up to him to destroy her. But even as begins his surveillance, someone else is out there, watching them both. Someone with a very deadly plan. Someone who knows just what it takes to kill a werewolf.